Picture this. Before the sun sets today, over 41,000 underage girls will have been married globally in one of the most harmful age old practices that continues to condemn innocent girls to a life of turmoil, pain and ridicule and denying them their basic rights. And now beside the monumental negative social impacts the exercise has, new studies indicate that world economies continue to bleed as this practice flourishes. Child marriages have particularly been entrenched in Sub Saharan Africa where approximately one in four girls marry before they get to the legal marriage age of 18 years. Data show that African nations account for 17 of the 20 countries with the highest rate of child brides world over. It is a scenario better captured in countries like Niger, the West African country with the highest number of underage marriages. 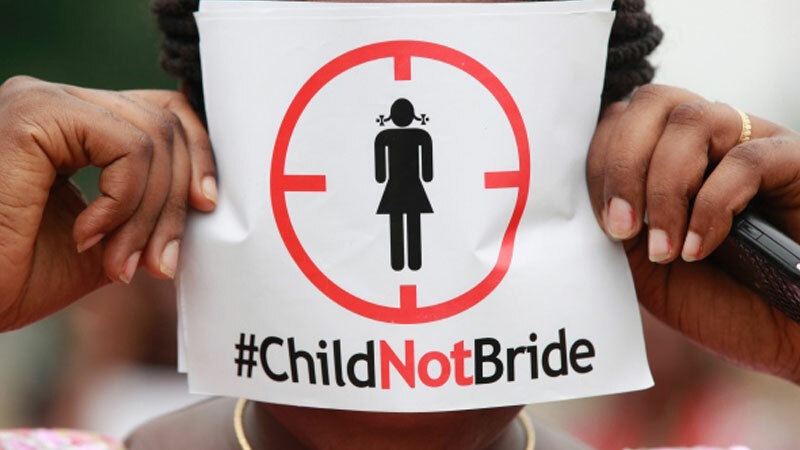 76 per cent of girls in the country are married before they attain the legal age. In the Central African Republic 70 per cent of girls don’t live to celebrate their 18th birthday without being married off while in Malawi one in every two girls is denied the joys of being a child by becoming a wife according to data from UNICEF. It has been a painful journey for these underage girls who have to endure sexual and domestic violence, early and multiple pregnancies and lack of education which condemns them to a life of poverty. At a regional conference to end child marriages in Nairobi Kenya early this year, 12 year old Natasha who has been married for an year stood infront of over 500 delegates all teary as she pleaded with the delegates to save her and thousands of other girls from the cruel marriages. “I miss being a child,” she said to an emotional audience. Such cries haven’t fallen on deaf ears. The world leaders in 2015 signed the Sustainable Development goals which among others committed to ending child marriages in all their forms by 2030. African leaders under the auspices of the African Union have been proactive in instituting measures and laws that seek to curb the harmful practice including legally enforcing the marriage age at 18. But that is just scratching the surface. In a continent where some communities still embrace child marriages as a custom and way of life, the fight against this vice calls for concerted efforts. Local leaders including village elders should be at the heart of this debate because they, more than anyone else know the culprits. Governments should give them full support if the war on child marriages is to ever be won. Ensuring every girl access education is also a vital deterrent. It is time girls were allowed to be girls, in the words of Natasha.